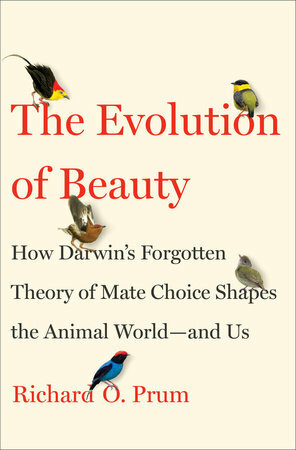 A major reimagining of how evolutionary forces work, arguing that mating preferences—what Darwin termed 'the taste for the beautiful'—create the extraordinary range of ornament in the animal world. Prum argues convincingly that the subjective experience of animals — the pleasure they take in aesthetic display — is a major evolutionary force. What is less clear and never really considered is whether animals are conscious of this pleasure and what it means when we say they experience beauty ... Prum is particularly eager to emphasize the role that female mating preferences may have played in human evolution, as if feminist arguments were simply waiting for the imprimatur of a biologist. While some of these conjectures are more plausible than others, the book is a major intellectual achievement that should hasten the adoption of a more expansive style of evolutionary explanation that Darwin himself would have appreciated. ...true to his argument, Prum seeks to prevail less through brute force of attack than by making his case with clarity, grace and charm. Like a bowerbird arranging its display for potential mates, he seeks not to best his chesty, chattering rivals, but to persuade the open-minded. The result is a delicious read, both seductive and mutinous ... He nimbly mines both the animal and human literature to show how, for one human trait after another, adaptationist explanations miss the mark while aesthetic explanations hit home. 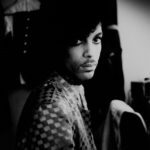 Aside from challenging the supremacy of adaptation theory, The Evolution of Beauty poses some unsettling philosophical questions ... Unfortunately, while Mr. Prum makes an excellent basic case for aesthetic evolution, the details can get muddy ... All the same, my disagreements are really signs of engagement: The Evolution of Beauty should be widely read, as it will provoke readers, shaking them (as reading Hume did to Kant) from their dogmatic slumbers. The author hews largely to the animals he knows best, birds and people, with only passing mention of how aesthetic evolution might shape other species. But I don’t see how any biologist could read this book and not walk away at least questioning the idea that adaptation must explain every last trait. Survival of the fittest might not be enough to explain nature. We might need survival of the prettiest, too. What did you think of The Evolution of Beauty?